Many people avoid trips to the dentist’s office because they fear the pain that they experience when the hygienist scrapes the plaque from their teeth. Unfortunately, this only leads to greater pain in the future because that plaque is not going away without assistance from a dentist. These reluctant patients could avoid all this discomfort and still get all the other benefits of a trip to the dentist if they took a few steps to avoid plaque. The problem is that many people do not even know what plaque is. They assume that it is something unavoidable and they need a dentist to take care of it. A little understanding could help them discover how to avoid plaque and enjoy their dental visits. Every time that you eat, some of the food remains behind in your mouth. This occurs no matter how well you chew or how much water that you drink. Inevitably, some particles get stuck in your teeth or caught between your gums. Bacteria live in your mouth. They are part of the digestive process. When they encounter these food particles, they attach to them and begin to form colonies. This does not cause problems with most of your food because it is successfully swallowed. The food that remains behind, though, begins to turn into a filmy substance when combined with growing colonies of these bacteria. Eventually, this biofilm attaches to those pearly whites. Dentists call this plaque. Eventually, this plaque will harden considerably and become tartar. This substance causes discomfort during your dental visits because hygienists have to use vigorous extraction methods to clear it from your teeth. If they do not do this, then a number of even more painful complications could result. The bacteria at the bottom of the tartar are anaerobic and produce acids. These acids destroy enamel and lead to tooth decay. Gingivitis, a painful swelling of the gums, is your body’s reaction to these bacteria. This build-up on your teeth is not inevitable. To completely avoid plaque on your own is difficult but it is possible. If you listen to your dentist and follow his or her instructions, then you should be able to avoid the worst and get through your dental visits with much less discomfort. The foundation of all proper dental care is brushing your teeth. You should do this at least twice a day. To avoid plaque, the brushing session before bedtime is the most important. You do not want food particles remaining in your mouth overnight. This would give the bacteria a long opportunity to begin forming plaque. You should also floss your teeth. Many people skip this and regret it when they visit the dentist. Flossing scrapes out the remainders of food that get caught between your teeth. A toothbrush will not remove these. 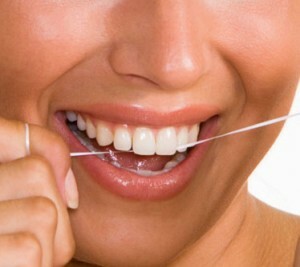 Good flossing can also scrape away any of that biofilm that is beginning to harden and turn into plaque. Finally, you want to end each session of brushing and flossing by using mouthwash. You do not have to use a commercial brand. Gargling with water will work, though a mouthwash containing zinc chloride would be better. People who are meticulous about their dental care do not suffer much when they go in for check-ups. You can learn a lot about your own dental care if you ask questions when your dentist gives you the opportunity. Whether it is a question about plaque or about how long before wisdom teeth holes close, your dentist will be happy to inform you so that you can take better care of your mouth.